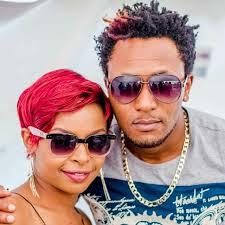 The undisputed king of DJs in the gospel arena, DJ Mo and the classy and sassy secular-turned-gospel singer Linet Munyali alias Size 8 have recently been hitting the headlines for the wrong reasons. 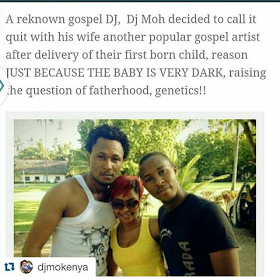 Rumor has been doing rounds that DJ Mo was finalizing his break up with Size 8 after the later gave birth to a dark baby hence DJ Mo was questioning the paternity of the child. 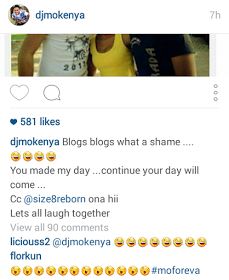 DJ Mo and Size 8 have been happily married for two years and they confirmed that the rumors were vague and baseless.